What? A bit like Paris Plages; an inner-city beach initiative with eclectic music and lush pop-up food stands. 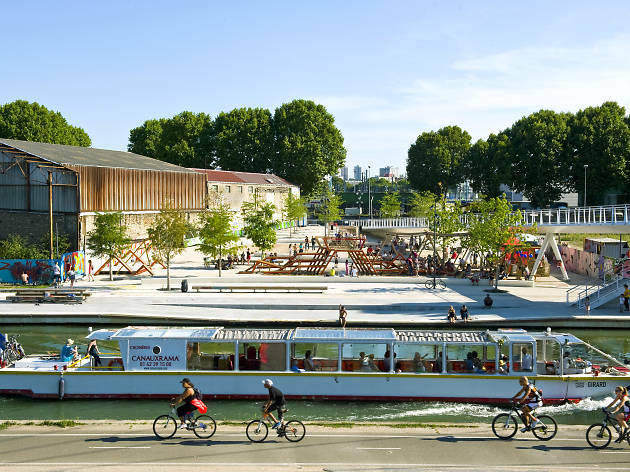 Though you can’t simply nip down to the seaside like you can in a city like Barcelona, the banks of the Seine and the Canal de l’Ourcq will make for a just-about-acceptable Parisian equivalent in summer. For a good ten years now, Paris Plages and the Été du Canal have brought all manner of beach-themed activities and parties to the city’s two monumental liquid axes, and 2016 is no different. 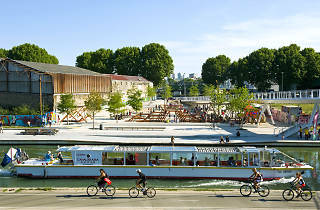 As well as involving a whole lot of displaced sand, the Été initiative – essentially a trendier version of Paris Plages, with a younger demographic – will this year take in a vast array of family-friendly cultural activities and sports events, ranging from cutting-edge DJ sets to mini €2 cruises. Highlights from the 2016 programme include nearly a hundred music and food-themed events on the péniches (€8-€29), like a beer-brewing workshop with Bmaker, a silent disco or a Réunionnais dance party, while guest DJs and chefs from the likes of Mamie’s, Freegan Pony, the Petit Bain, Manufacture 111 and the Glaz’art will also be popping along. For more programme information, click here.